It’s a little before 8:30 in the morning. And it’s Wednesday. But this is no ordinary weekday. I’m not sat at my desk working – instead I’m cresting this morning’s climb. It’s been a long, tough, and utterly delightful haul – made even more pleasant for a number of, also unusual reasons. Firstly the bike I am riding. We are far from home, and we have a full 160km of riding planned for the day, but I am not on my normal heavily loaded Audax bike. 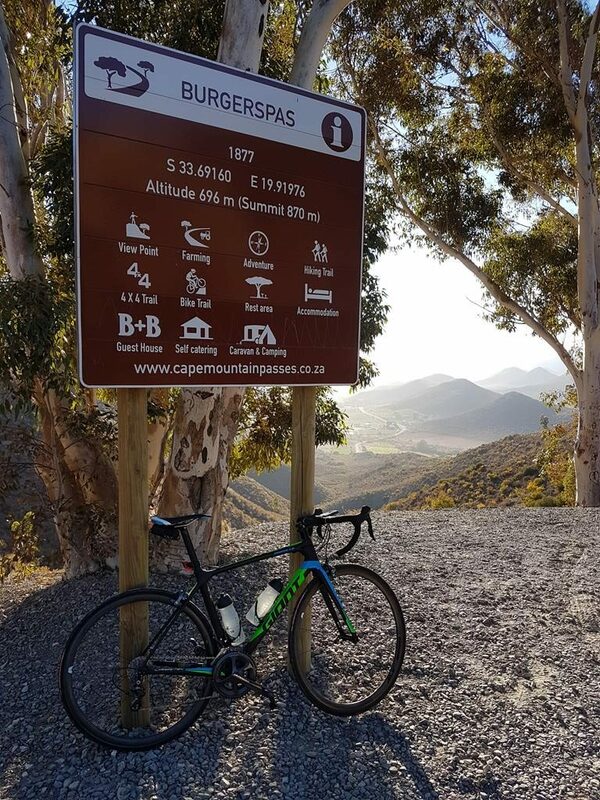 I am on my Giant TCR Advanced – a nimble rocket-ship that has just made effortless work of the first 40km and 1,000m or so of ascent to this point. And the reason for being able to enjoy this perfectly equipped climbing machine is a few meters up ahead – our first, fully supported stop of the day. The shade of the gazebo is most welcome – it may still be early, but the heat of what promises to be a scorching day is already building. 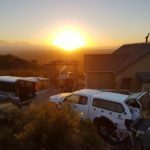 So here we sit – a table laden with snacks and refreshments, and a pot of fresh coffee brewing on the stove as the rest of our group rise over the last ramp of hill and pull in to enjoy the hospitality. This level of pampering is a far cry from my typical rides. 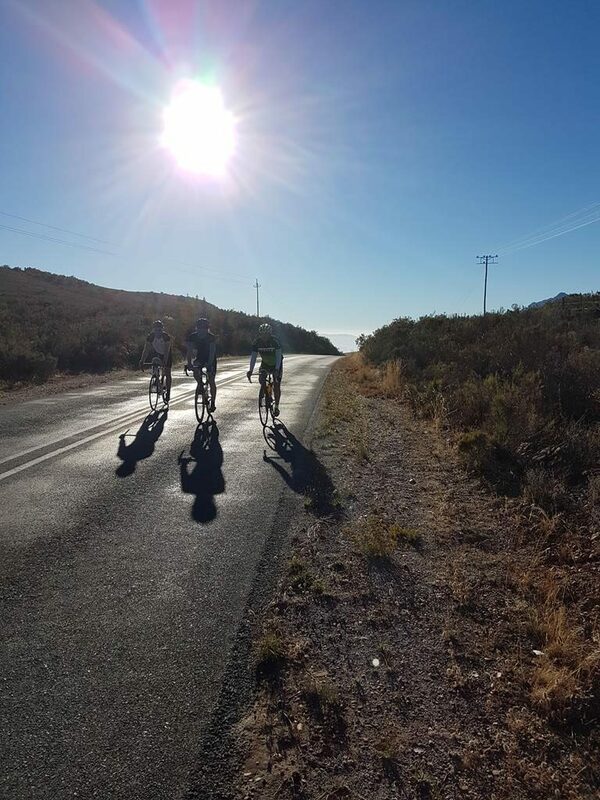 Finally, I have managed to make space in my diary to join the Tour de Boland guys on their flagship ride and I am loving every darned second of it. Jan and Daneel head out from the pitstop early. Both extremely strong riders, they’re planning a slig ht detour to rack up some extra kilometers over our scheduled distance for the day. There’s a glint in Daneel’s eye as they roll out – it’s clear their ride will be a little less social than ours, hilltops will be fought for. The rest of us sit and enjoy the coffee and the stunning view. 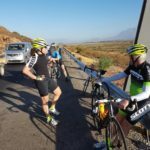 We’ve climbed steadily from our sleep stop in Montagu, up over the twin climbs of Burgers Pass followed by Rooihoogte to our current vantage point. 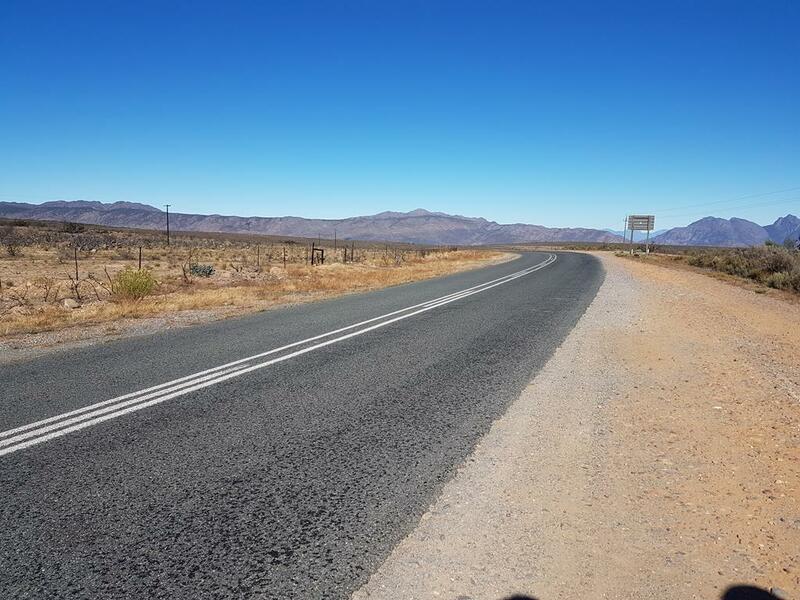 Sat at 1,230m, the vast, serenity of the Karoo lies spread out before us. Pale, ghost like skeletons of tol bosse (rolling bushes) blow across huge expanses of semi-desert, dolerite outcrops dotting the far distant horizon beyond. The moment could hardly be more sublime – and then, from nowhere, it transcends into something utterly beyond words. The soundtrack from the parked support van changes, and the first strains of opera wafts out across the air (E lucevan le stelle, from Tosca if I recall). Conversation from the whole group falls silent as the purity of the aria weaves it’s magic through the perfection of the landscape and reaches deep into the soul. For me this is my second day of riding – the rest of the guys are now on day 4 of their tour. My diary-clearing skills not quite extending to the full 6 days, I joined the group on Monday evening at Goudini Spa. 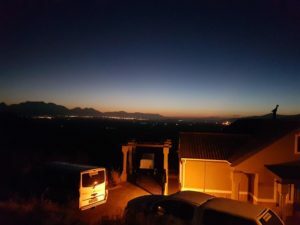 My timing, as it happened, could not have been better – steaks were already picking up a perfect char on the braai, and the beer and wine was flowing. The evening light faded into night as we sat looking out over the vineyards of Rawsonville across the pan flat valley to Worcester beyond. I had to remind myself that whilst the riding planned for Tuesday was not exactly strenuous, it was still a solid 130km and high temperatures were likely. But maybe just one more glass of red wouldn’t hurt before turning in for the night. Our riding started at a very civilized 7am the next day, and at a very easy pace initially. Familiar roads past Brandvlei dam, out on the R63 briefly, then left at Aan de Doorns winery as we cut across to the R60 and headed out towards Robertson. 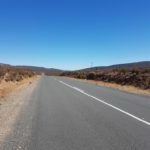 The headwind that had plagued our Cape 1,000 back in December was pleasantly absent, reducing the gradual climb into nothing more than a relatively easy pull. At just 150m of vertical, it doesn’t seem to merit a name as an official pass, and once over the top, legs loosened, adrenaline began to flow and our pace picked up considerably. Was there the faintest whiff of coffee from the pitstop up ahead also spurring us on? Alongside the road fluttering flags and a giant red chair announced the arrival of our morning stop. 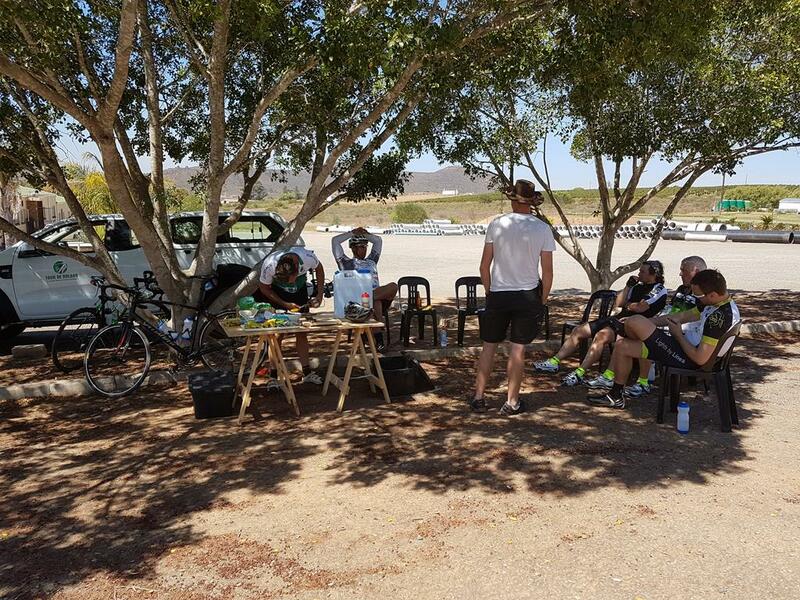 It was my first experience of the quality of Tour de Boland support – chairs already set out to welcome us, table full of delicious snacks, and something which at first sounds awful but over the next two days I came to look forward too immensely: salt water! It’s actually an electrolyte drink, in 500ml bottles, but unlike most of it’s kind, rather than being sickly sweet, it has a refreshingly salty taste. Riding through some of the hottest days I’ve spent on a bike, that drink alone played a significant part in avoiding any hint of dehydration. I quickly polish off an extra slice of bread and Bovril, and a couple more chunks of biltong, wash it down with the rest of my coffee and I’m fresh and fueled to go. But not before a team photo under the big red chair, and another of those odd coincidences which seem to follow me on the bike. It takes me a moment to place where I have seen the chap from the winery who takes the picture for us. And then I get it – he was the manager of the Robertson Wimpy who served Nico and I back in December on the last day of the Cape 1,000. Although I still can’t quite place why I recognised him on that previous occasion. Fed and watered, we make rapid progress through Robertson and out towards Bonnievale on the Jacaranda lined avenue of wineries and farms. 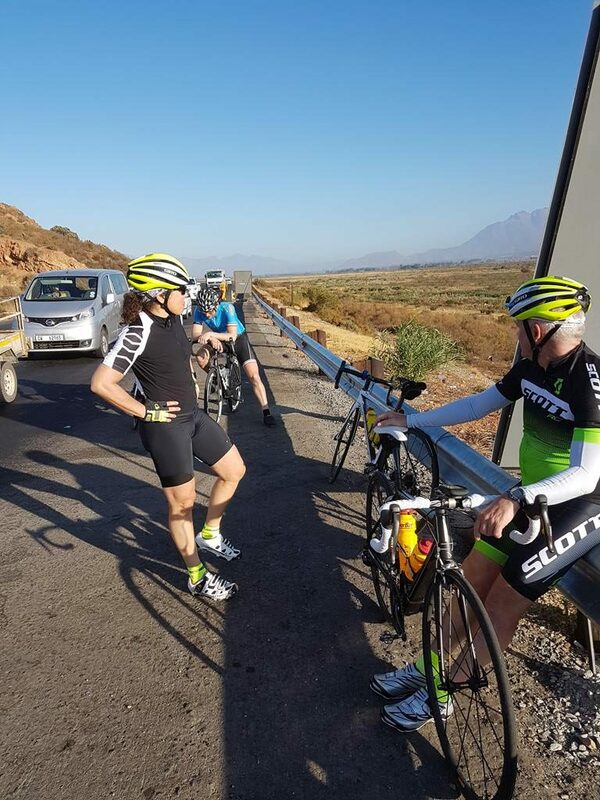 One of our riders is feeling the distance of the last couple of days and splits off left to take a shorter route towards Ashton, accompanied by one of the support vehicles. The rest of us carry on into the rising heat of the day. At one of the Stop-Go sections just before Bonnievale the wait is long enough to send us scurrying for scraps of shade on the cool grass of a conveniently placed front garden by the roadworks. Soon after we are jiggling along the cement road on the outskirts of town – a small crew of workmen are pouring fresh tar into the gaps between a couple of the slabs, but the rest of them send a regular sequence of mini shock-waves through our forks and up into our handlebars as we roll across them. It doesn’t last long though, and after a quick check of our GPS screens, we swing left at the far end of town and out to our second and final pitstop of the day. 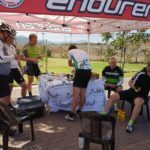 It may only be 40km or so since the previous stop, but in the scorching midday heat the chance to top up bottles with ice and cold water is most welcome. There’s a distinct reluctance to leave the shady circle of chairs – maybe it’s the small climb ahead, or perhaps the knowledge that once over the top, a delightful day’s riding will soon come to it’s end. The next stretch is a rarity for me in these parts – a road which I have neither cycled nor driven. 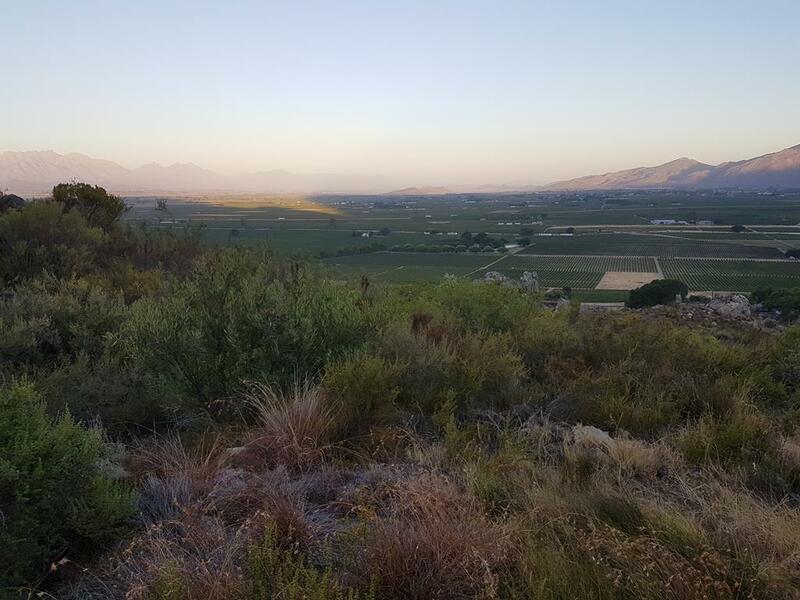 Its a quiet, scenic meander through mixed scenery of fynbos, scrub trees, and scorched hillsides from recent fires. The effect is rather dramatic, and beautiful in a harsh sort of way. The route rolls up and down until finally it pitches upwards into the climb proper. It’s neither steep nor long though, and even in the heat it’s barely a push. Very soon the wheels break free down towards the junction with the main road into Ashton. Eugene has pulled off by the side of the road with the bakkie, taking photos of each of us as we arrive, and checking in as we regroup before the final stretch of the day. Joining up with the main road we barely turn a pedal, bikes speeding effortlessly across the 5km or so down into Ashton. 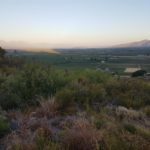 Just the delightful Cogmanskloof now lies between us and our overnight stop in Montagu. On this occasion, as well as the sublime scenery of towering stacked and folded rock layers, the winding road delivers up some offroad riding too courtesy of the roadworks. Road racing machines on 700C wheels with a mix of 23mm and 25mm tyres bumping along a fractured surface of broken tar, gravel, and sand. It shows the versatility of modern bicycles that all of us get through safely, without even a hint of a puncture or a tumble. Most of us are smiling and laughing at the unexpected experience too. Perhaps not a surface you’d choose to navigate with your pride and joy, but certainly a heck of a lot of fun to do so. 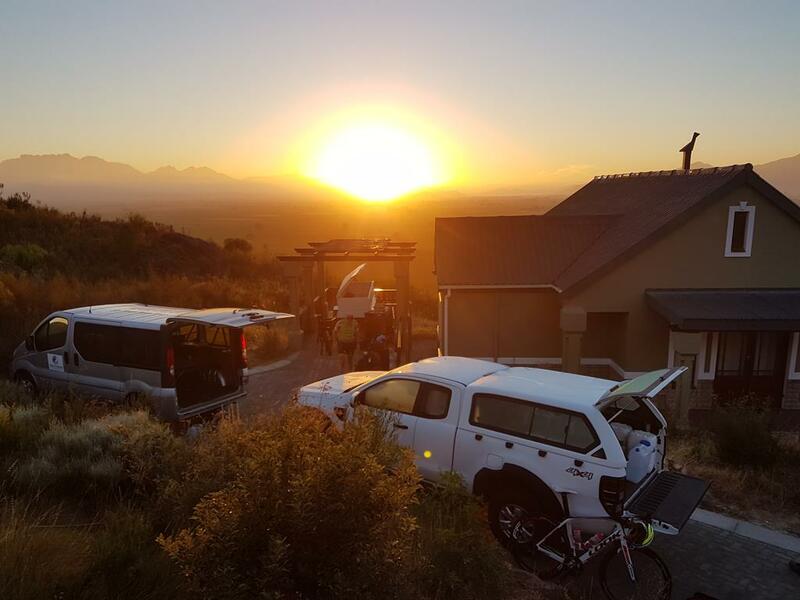 And just like that, the beauty of the kloof and the day’s riding are at an end. 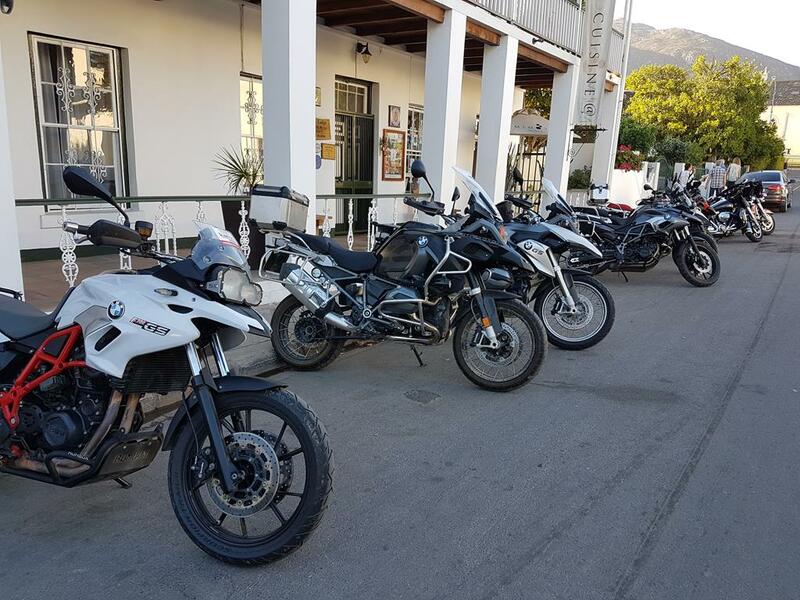 We roll out onto Montagu’s main road, and beginning scanning each side junction for Kerk Street, and the left turn to our B&B for the night. Except it turns out to be rather more than a B&B. Mimosa Lodge is a delightful, small town hotel with a distinctly African old world feel too it. We’re quickly shown through to the garden at the rear, bikes propped here and then, shoes and helmets thrown off, and most of us jump straight into the cool waters of the splash pool as beers are brought out to us. Another treat awaits too – set out in a quiet corner of the garden is a massage table, and each of us gets a reviving work over. It’s necessary too, especially for the guys doing the full tour, as tomorrow is the longest and toughest day of the whole six days. Muscles will need to be as fresh as possible for the work that lies ahead. Dinner is a delicious but uncomplicated affair in equally down to earth surroundings. 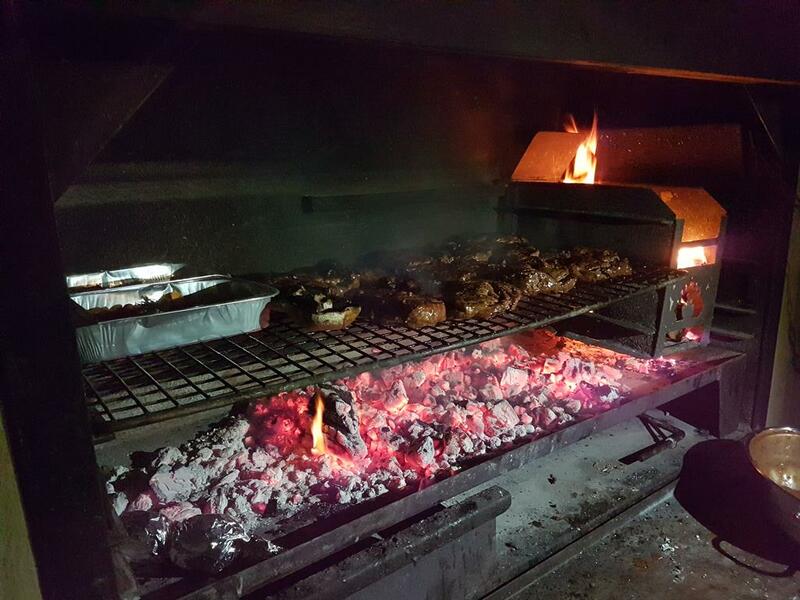 Sat at a long trestle table in a covered courtyard between rustic farm buildings, we polish off wors and chicken from the braai, plus sweet potatoes baked in the fire and a huge plate of salad. The conversation flows, as do the drinks, and before long we’re trading jokes in both English and Afrikaans. It turns out that Daneel has quite the comedic timing, and has the whole group rolling in laughter at several of his stories. None of which are fit to print here – you had to be there! Rather later than expected, and with probably two or three beers than was wise, the last few of us walk the short distance back to our hotel. A memorable evening, but one which definitely did not help with getting up on time for our early start the next day. Late to get kitted up, I wolf down a hasty breakfast of sandwiches, juice, and snacks whilst kitting up to ride. As much as I rush, I’m still a few minutes behind the group, their rear lights flashing just up ahead as we leave the street lights of the town and out into the open countryside once more, the grey light of morning only just enough to pick out the road surface ahead. Dawn breaks to reveal the full beauty of the valley we are riding though, and spirits and conversation begin to flow as the kilometers build and legs shake off the indulgences of the evening before. It’s a glorious day to be out on the bikes, and just along the valley, the first turns of the pass can be seen twisting up the mountain side ahead. 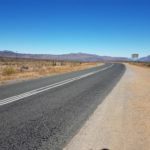 We’ll soon be leaving the lush farming lands behind as we climb up and out into the Karoo, and that much anticipated coffee at the stop ahead. The last bars of opera subside, and are replaced with something less memorable. 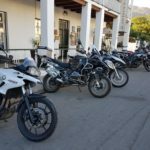 It’s a sign we need to be on the road again – there’ll be no avoiding the heat of the day, we just need to crack on and get as much riding done before it reaches full strength. For now at least, we enjoy a long fast cooling downhill. 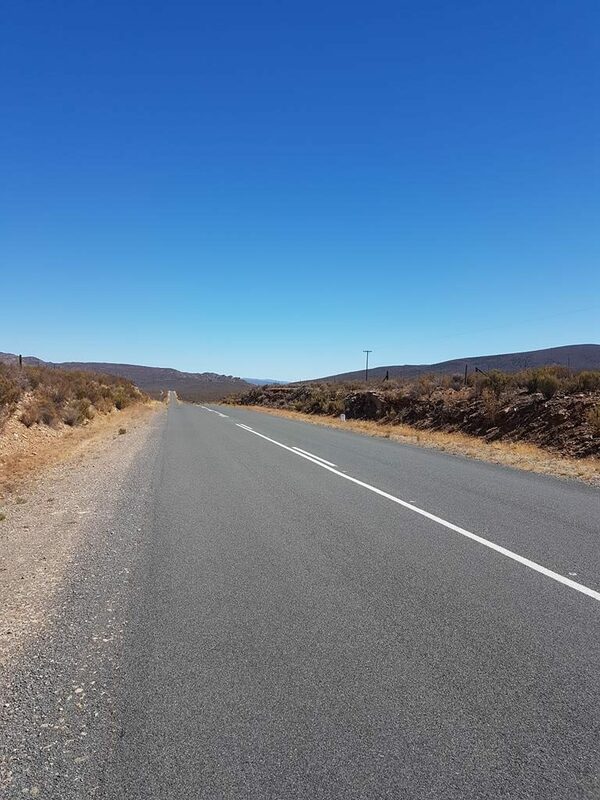 The full expanse of the Karoo rises and falls ahead of us, it’s undulations gradually splintering us into small groups riding at similar speeds. I’m neither in a hurry to catch Nico up ahead, nor in need of company to drop back and wait for the following groups behind. Instead I’m enjoying the absolute peace of those few moments of solitude. Barely a car or truck pass to break the perfect silence. It’s just me, and the bike, under a pure blue sky, racing across a long straight stretch of road towards a horizon that never seems to get closer, but yet arrives too soon. We regroup at the junction with the N1 – a busy, but thankfully short stretch of national highway which is unavoidable. It turns out to be far more enjoyable than I’m expecting. 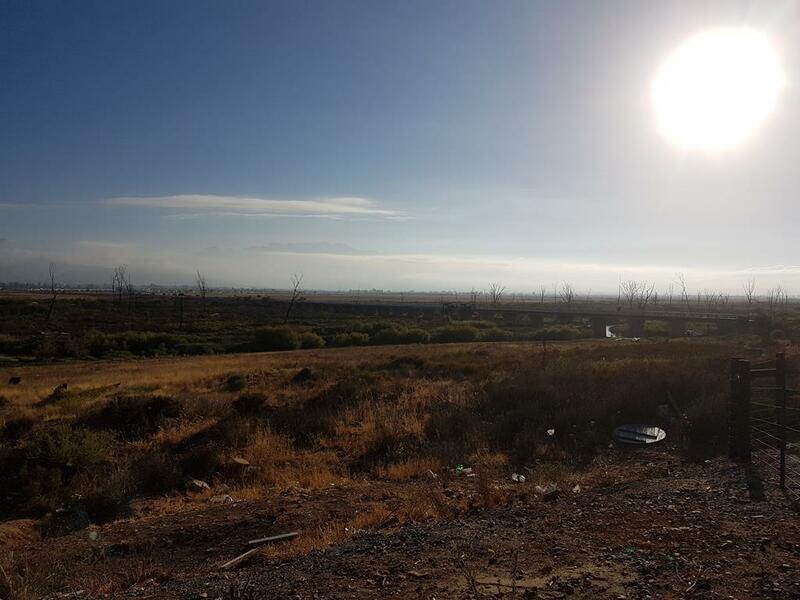 We positively fly along the 12km to the turn off to Ceres just before Touws Rivier. Along the way we pass a large group of cyclists coming south. Apparently a group from Pretoria who ride to the Cape Town Cycle Tour every year. Whilst they look to be very well supported, I wouldn’t swap my tour for theirs any time soon. The N1 may not have been too dreadful, but I’m glad it was just a short punctuation before we’re on more scenic and less busy back-roads again. Passing Aquila Game Lodge we pause for a quick photo stop, before battling on again. 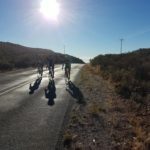 It’s not that the riding is especially hard, but the temperature is heading north of 40 degrees, and saps every ounce of energy from your legs. We alternate short turns at the front until, at last, we crest the small climb and enjoy the rapid descent to our second pitstop of the day at the junction with the R335. We’ve broken the back of our ride, but what remains is going to be hot as hell. 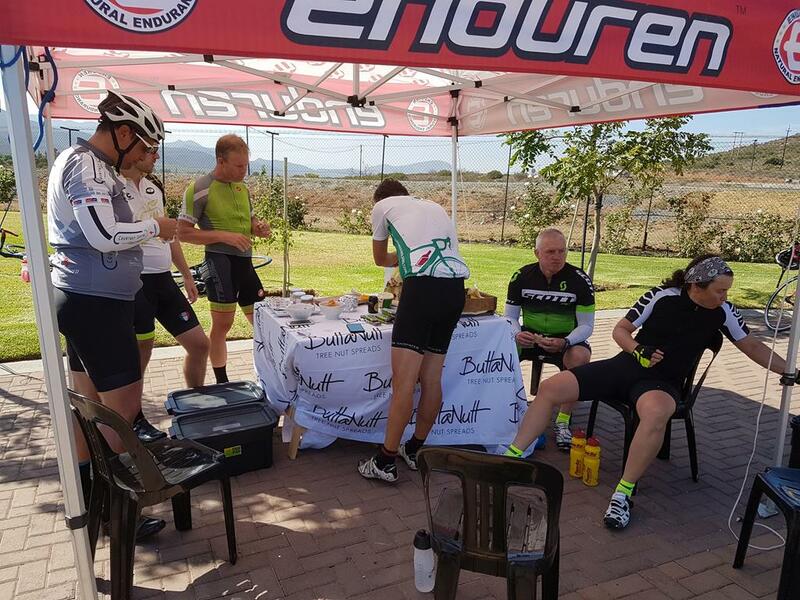 A day such as this simply would not be enjoyable as a self supported ride, but under the shade of the gazebo and trees, with ice cold drinks, food, great company and every comfort one could ask for it’s a very different experience. For a few minutes it’s possible to completely ignore the furnace raging just a few meters beyond the perimeter of our little oasis. But only for a few minutes, before long we must ride out again into it – 40km, 44 degrees, and one climb lie between us and the finish for today. On any other day, Theronsberg Pass would be an enjoyable but not overly taxing haul. But for the first time today, my engine stutters. The legs have pulled strongly so far, but now there’s just not enough left too tackle it with any gusto. At least in my tank anyway. Christiaan blasts pasts me, clearly still fresh. I console myself in the thought that he is an ex-professional cyclist, and slowly but surely grind my way to the top. The road veers sharp right up ahead, a tantalizing hope that maybe we’re at the top. Logic and experience tell me not to get my hopes up though. And, sure enough, as I swing around the bend the long, shimmering stretch of tar continues its inexorable rise out of the cauldron. I labour slowly slowly on, up and over the new crest. With great relief, my wheels spin free – this is finally the top. 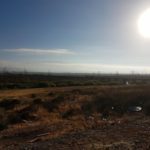 I pick up speed and race into the cooling breeze, a vast expanse of farmlands and beyond, barely visible in the distance, Ceres – our destination. We stop a couple of times on this final stretch. Once in the shade of trees to wait for the rest of the group, and then again for a water popup after battling a massively strong headwind. The tour notes had predicted this, and they were not wrong. Huge gusts blasted, buffeted, and tore into us as we sped down the last short stretch of pass, out across the pan flat plain, and into the outskirts of town. We form a neat and cautious procession on the last section of narrow road, before rolling into the main road and swinging left at the end of town. And there it is again, that welcoming sight of gazebo and support crew standing by. Even more welcoming this time as there are two gazebos, one with waiting massage table. 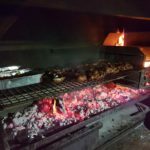 The braai is lit, and ice cold drinks are handed out from the cool boxes as we dismount and head for the chairs. Coming from an Audax background where any shop or garage that is actually open is considered luxury, and a pile of sacks to sit on positively 5-star, it is hard to find any fault in this superlative level of service. But there is one small oversight I could point too – my own foolishness in not making time to ride the whole tour. Not a mistake I’m likely to make again.